Classy and fabulous! Bering Crossing encompasses Old Hollywood Glamour with todayâ€™s most desired amenities. Enter via a private and tranquil courtyard, designed with 3 pre-plumbed lines awaiting sensational gas light fixtures. Host numerous celebrations in your choice of multi-functional gathering spaces, both indoors and out. From aged brick selections, distressed BOLD flooring, and chic accessories, this home is undeniably YOU! Directions:From I10 exit to Cane Island. Continue to Firethorne N. Make left. Make immediate left and right onto Bering Crossing. SchoolsClick map icons below to view information for schools near 27711 Bering Crossing Dr Katy, TX 77494. Home for sale at 27711 Bering Crossing Dr Katy, TX 77494. Description: The home at 27711 Bering Crossing Dr Katy, TX 77494 with the MLS Number 11066011 is currently listed at $520,000 and has been on the Katy market for 86 days. 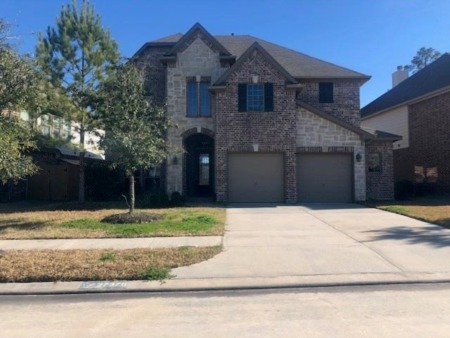 You are viewing the MLS property details of the home for sale at 27711 Bering Crossing Dr Katy, TX 77494, which is located in the Firethorne subdivision, includes 4 bedrooms and 5 bathrooms, and has approximately 4202 sq.ft. of living area.